Earlier this week the lovely ladies over at Benefit invited us along to an evening of champagne, nibbles and a whole lot of problem solving…the best kind of problem solving, that’s right our concealing woes are finally answered! Of course we are talking about the launch of Benefit’s brand new hydrating concealer Fake Up! 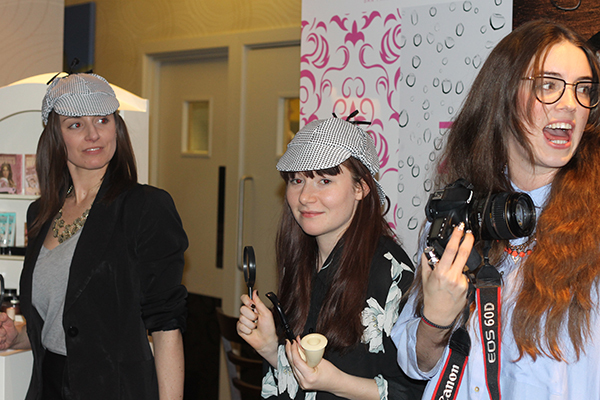 The ladies donned their best detective hats and gave us the low down on the new product, with some fun, games and demonstrations thrown in too. 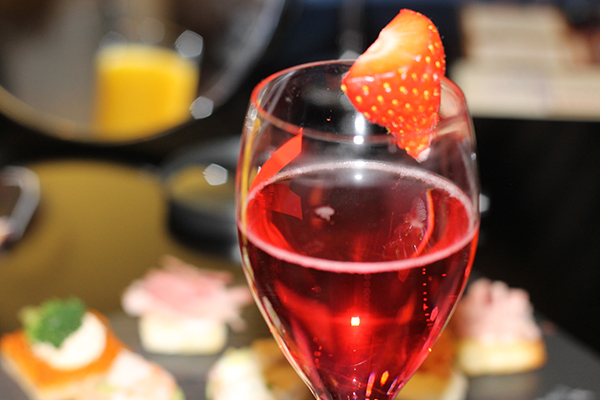 The event took place in Hugh’s Champagne Bar at the Glasgow House of Fraser, which coincidently hosts Benefit’s best selling counter in not only the UK, but the whole of Europe! 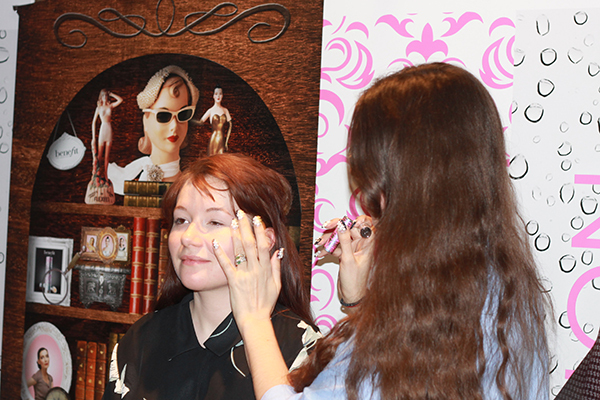 After catching up with all of our lovely fellow bloggers and chatting to the Benefit girls, we watched a demonstration by the wonderful Lisa Potter-Dixon, Benefits Head Make-up and Trend Artist. We were each colour matched and got a chance to have a little play with the new product. We had a wonderful evening and cannot thank the ladies at Benefit or the staff at House of Frasers enough for their wonderful hospitality and of course our fellow blogger friends for being great company as usual. Now on to the product itself. We were sent off with all three shades of Fake Up to test out for you guys. 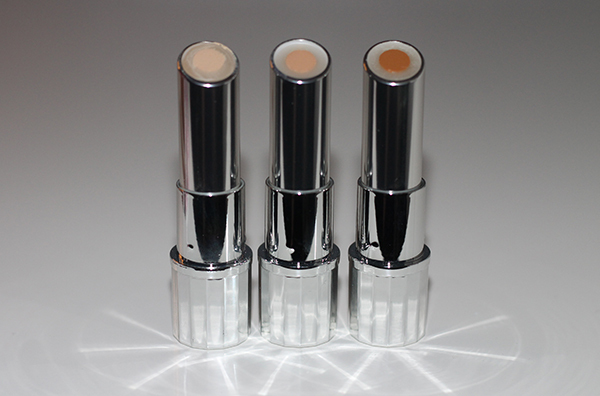 The concealer comes in three shades, light medium and deep. All three shades are extremely hydrating and easily built up depending on your desired coverage. The darkest shade is also the perfect contour colour if you are paler skinned like us! Fake Up is fairly unique in the concealing world. It not only covers imperfections and eye bags galore, it’s also packed full of hydrating ingredients such as apple seed extract and Vitamin E. Whilst your concealing your imperfections your also helping them, what a clever little stick eh? As with all Benefit products the packaging is just gorgeous. A cool mirrored twist stick packaging with lots of pink detailing, super fun and girlie! We especially like how it looks on a shiny surface like above, a very glam addition to your dressing table! After trying this out we’d say it’s best to blend this out with your fingers as the formula is so easy to work with, but it works great with a brush too. We were both colour matched to the shade ‘Light’ and it’s a great match if you’re usually the palest shade in foundation. You only have to swatch this product on the back of your hand to feel just how moisturising it really is. The core of the stick deposits rich creamy colour whilst the outer layer slaps on more moisture than you can shake a stick at. This makes Fake Up is perfect for all ages and skin tones. It’s a creaseless formula which means your skin will be left smooth and hydrated, which is especially great for under your eyes! Sadly, there is still a couple more weeks before you guys can get your hands on this skin saviour as it doesn't hit the UK Benefit counters until 31st March, but be sure to head down and give this a try. 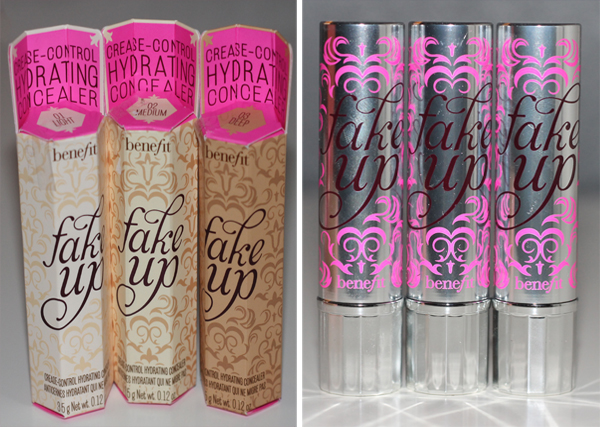 Fake Up will retail at £18.50 and will be available from Benefit counters and concessions. Do you guys like the look of this new product? Be sure to let us know your thoughts when you try it out! I haven't found a concealer as moisturising as this one! I think this sounds really nice. I find a lot of concealers too drying, especially on blemishes so this sounds perfect.